A smart and unique app has been created to encourage socialising! 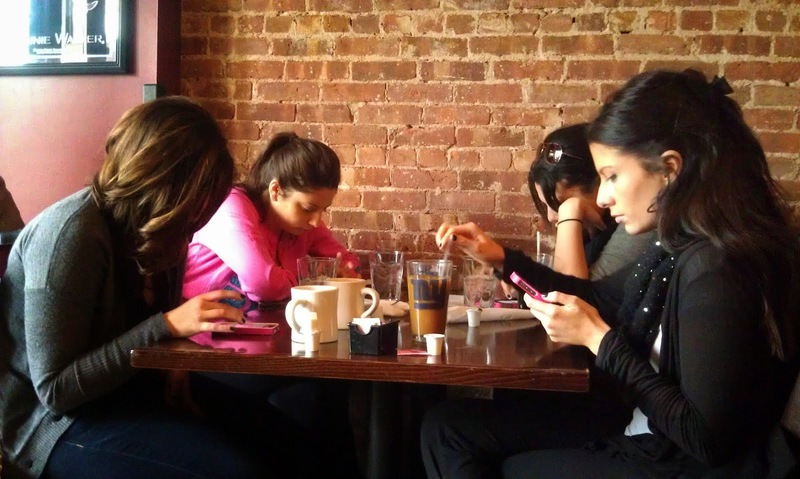 Have you ever walked into a restaurant or café and you see a group of teenagers, colleagues or families playing with their phones instead of talking to each other? Yes, it happens all the time doesn’t it? 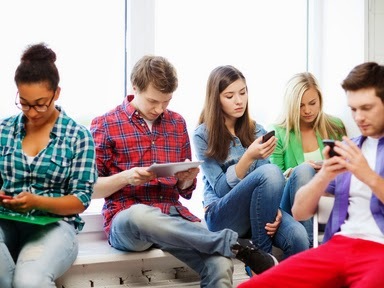 Nowadays, many people prefer to socialise with their smartphones instead of actual people who are sitting right next to them or with them at the same table! 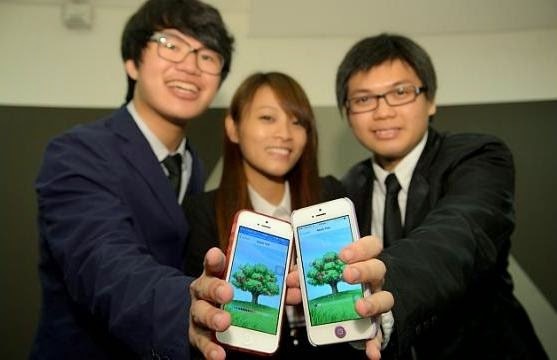 To prevent the human race from becoming anti-social freaks, three brilliant Singaporean students from Republic Polytechnic have created an App called “Apple Tree” that encourages you to put down your smartphone and start socialising, Channel News Asia reports. So, how does this App work? Well, it is easy. When two or more smartphones with this App are put next to each other, virtual apple trees will grow on the users’ screen. The longer you leave your phones, the bigger your trees will grow and the virtual apples will grow as well. If the phones are used or taken away, the apples will stop growing. Of course, there is more to the App than just the growing trees and apples. According to Channel News Asia, users can harvest the apples and exchange them for rewards such as discounts. The Straits Times reports, the age 20-year-old trio who created this App won the Splash Awards last Tuesday, 18 November 2014 as well as USD30,000 (RM 100,300.50) for their innovative idea. The competition was held to celebrate Singapore's 50th anniversary of independence with the theme “Bringing Singaporeans Closer Together". The App is kind of similar to an existing App named, “Forest” which grows virtual trees when the phone is ignored. However, unlike Apple Tree App that has an added social element and also rewards, Forest is only an App that grows a new tree every 30 minutes and kills trees if users exit the App prematurely. The Apple Tree App will be available for free in Singapore next year. You know what they say, an Apple Tree App a day, keeps the smartphones away!